August 19, 2012 - The removal of the main airspace security arrangements covering the London Olympics at midnight on August 15/16 marked a successful end to one of the largest airspace changes ever undertaken in the UK. Pilots affected by the changes adapted extremely well throughout the period of the restrictions and, in general, showed a high level of professionalism and responsibility, despite being adversely affected by the changes. During the 33 days that the restrictions were in place Atlas Control, the military air traffic control unit providing the service within the Restricted Zone, quickly overcame some initial start up issues to successfully handle over 10,000 aircraft and nearly 20,000 flight plans. At no time during the restrictions did Atlas reach its capacity limit, although the poor weather in the UK during the period will have affected demand. 13 infringements of the restricted airspace were reported to the CAA, resulting in three pilots having their licenses provisionally suspended and one flying instructor having his instructors rating provisionally suspended; all 13 infringements are under investigation. As well as the Government’s security restrictions, areas of temporary controlled airspace CAS(T) primarily operated by NATS were introduced to handle the expected increase in business and corporate aircraft movements. Tied to this, 40 airports were slot coordinated for IFR flights. This system also worked well, handling close to the predicted number of flights and successfully reducing the impact on existing controlled airspace. From an MoD perspective Air Vice-Marshal Stuart Atha said ‘‘I would like to thank the General Aviation community for their cooperation during the Olympics airspace restrictions. At the heart of the airspace control measures was the need to create a known air environment so that potential threats could be identified. Inevitably, the measures adopted were a balance between the security requirements and those delivering scheduled services and the General Aviation community. “Throughout this I am extremely grateful to the aviation community for their patience and support and how they worked with us to develop our procedures. I would also like to recognize the highly valued support of our colleagues from the CAA and NATS, and indeed from my own team in ATLAS control, many of whom were drafted in from across the wider Royal Air Force and Royal Navy. Following the removal of the main Olympic changes a smaller set of restrictions will remain to protect the main Paralympics sites until September 12 and various shorter-term airspace restrictions will cover other venues. Restricted airspace R005 at the Weymouth sailing venues remains in place until 18:00 local on 8 September. The remaining restrictions are primarily a smaller Prohibited Zone (P114) centered on the Olympic Park and two smaller prohibited zones over the rowing at Eton Dorney and the athlete’s village at Egham. 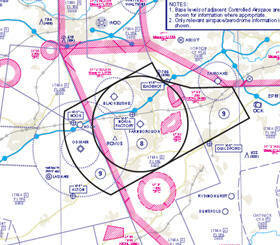 There is also temporary restricted airspace over other venues, some of which, such as Brands Hatch, have not previously been subject to airspace restrictions during the Games. The London Heliport at Battersea remains inside the smaller Prohibited Zone but, as during the Olympics, will have an exemption to allow operations. The Airspace & Safety Initiative (ASI) is a joint CAA, NATS, AOA, GA and MoD effort to investigate and tackle the major safety risks in UK airspace.